AltriaCraft is the spiritual successor to my quasi-famous Swords+. It is intended to completely redesign the combat experience while still remaining modest. 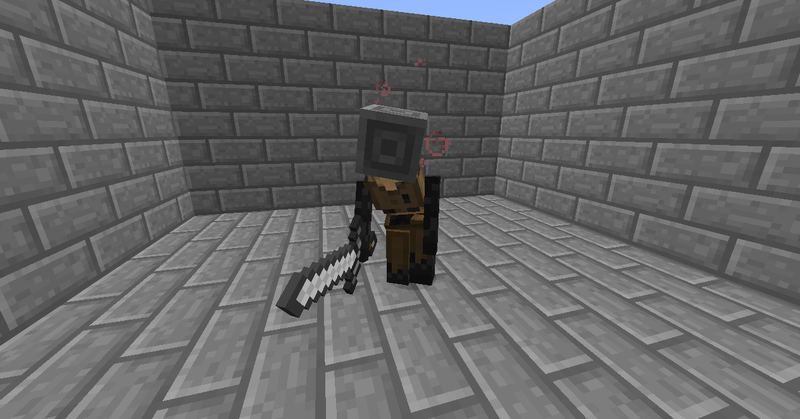 Every aspiring adventurer is going to need a sword to protect himself (or herself) from the hordes of monsters that infest the shadows of Minecraftia. Though, unless you’re fortunate enough to set foot into the world with a coffer of riches, you’re not going have much more available to you than a weak Wooden Blade. At the very least, you can craft them cheaply anywhere anytime. A wooden sword just won’t cut it for long. So, once you’ve amassed a decent bit of resources, it’s time to get smithing! Before you can use a Bladesmithy, you need a couple of things: air above the block and fire beside it. After all, you can’t work metal without access to the working surface and some heat to make the metal malleable. Though optional, it’s suggested that you build some kind of enclosure. Or you can be tacky. It’s up to you. Red boxes are the materials for the hilt. Blue box is the hilt grip dye. Basically, place one of the 16 dyes in this slot and your sword will have a hilt grip of that color. You can’t place a non-dye in this slot. Nor can you create a sword with an empty dye slot. Green boxes are the materials for the blade. Yellow box is the fuel additive slot. More on this below. The text box at the top, when eventually implemented, will allow you to custom name your sword from the get-go. Please note that you CAN use any of the 16 dyes, including Bone Meal. Dyes shown are just personal preferences of the mod creator. 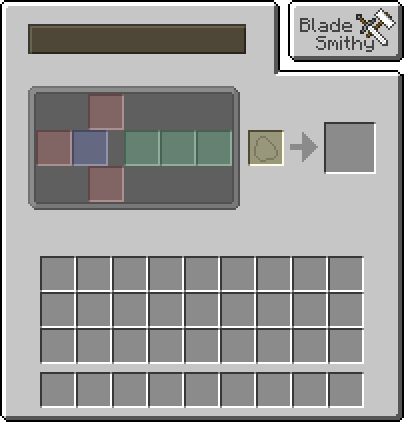 Note: Silver is available as an ingot in AltriaCraft but does not generate in the world. 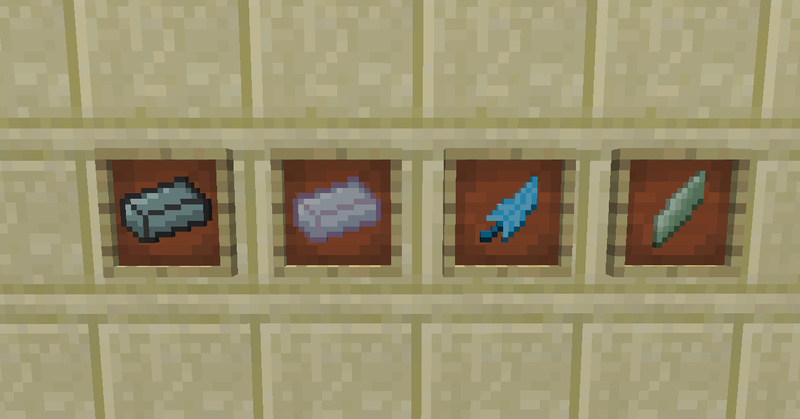 However, thanks to the Forge Ore Dictionary, you can substitute silver ingots from other mods such as IndustrialCraft2. When AC Silver Ore is implemented, it can be disabled in the config for those wanting to limit ore redundancy. Note: Identical stats to Iron Edge because later versions of this mod implement form/power upgrades and these two ‘sister’ swords have entirely different upgrade branches. Low, Mid, High, Super, or Perfect. You can see the grade of a sword by hovering your mouse over it in your inventory. AltriaCraft adds a new ‘currency’ to the game in the form of an energy called AGE. AGE will be used in a future update for a lot of things. Keep this gem on your person and go slaughter some hostile mobs. Be warned, though, that the amount of AGE you earn is wholly dependent upon how powerful you are in an inverse ratio. Basically, the better your weapon and armor, the less AGE you earn. Additionally, the deadlier the mob you face, the more it’s worth. 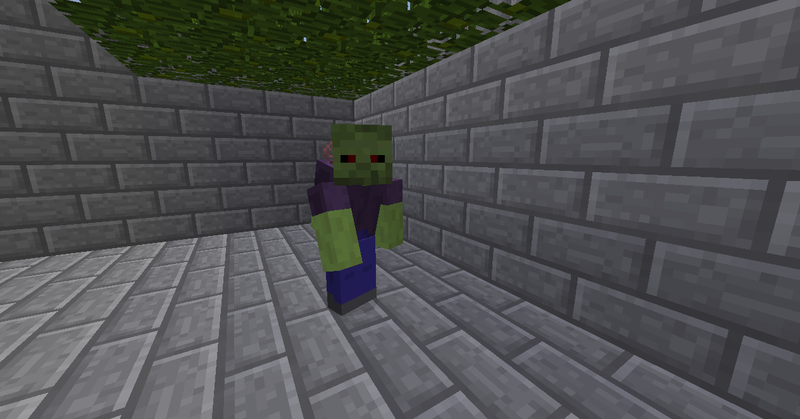 Some hostile mobs do not provide AGE. These mobs are: angry wolves, slimes, magma cubes, witches, and the ender dragon. As you gain more AGE, you may notice your Awakening Gem change forms. This is a good way to brag about how many mobs you kill. There is also a fifth collectible, Coral Quartz but it is not obtainable in Survival at this point in time. You need 6 of any one collectible to upgrade a weapon stat. This ore can be mined to acquire silver chunks, which can be smelted to get silver ingots. Silver ingots can be compressed into blocks like other metals. This ore can be mined to acquire Ezralite Crystals, which will be useful in the future alkahestry updates of this mod. This ore can be mined to acquire Tauvelite Dust, which will be used in a future update for repairing your tools. This ore can be mined to acquire Hydrolute Briquettes, which are used in the Blade Works to make Super grade weapons. Be advised, however, that this ore is only found in the Nether and has penchant to explode! Using Silk Touch will negate the explosion but yields minimum drops. 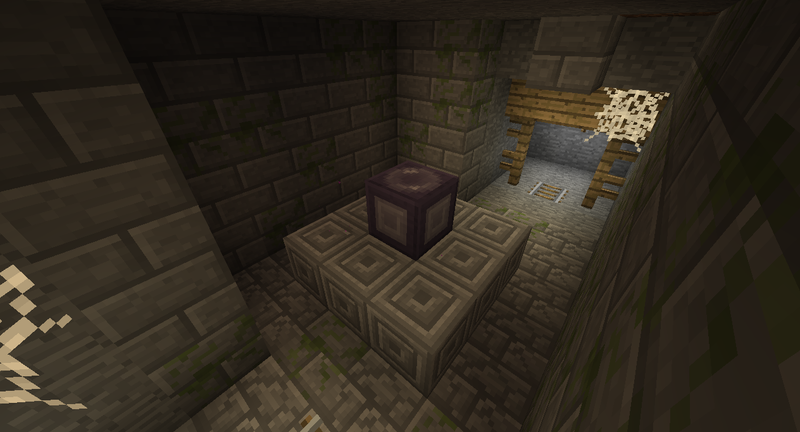 You cannot acquire the ore block itself in survival. 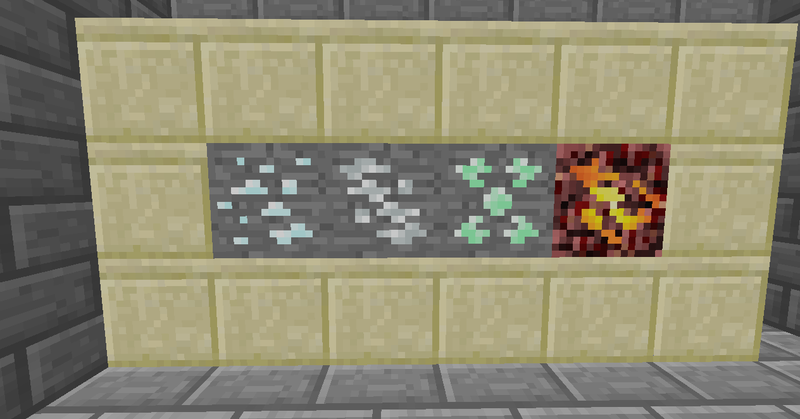 AltriaCraft revises how metallic ores work. 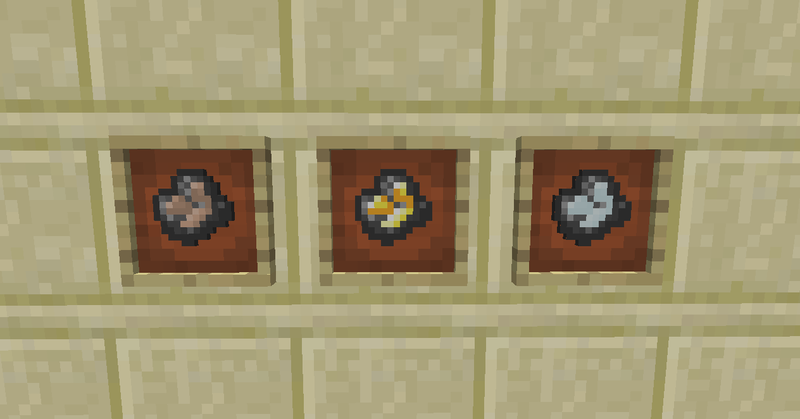 Iron, Gold, and Silver drop “chunks” that must be smelted to get ingots. The chance of getting more than one chunk per block is low but the chance does increase somewhat with Fortune. Sitting atop the central pedestal is a Sealed Logia. In a future update, you will be able to unlock these and obtain awesome goodies! 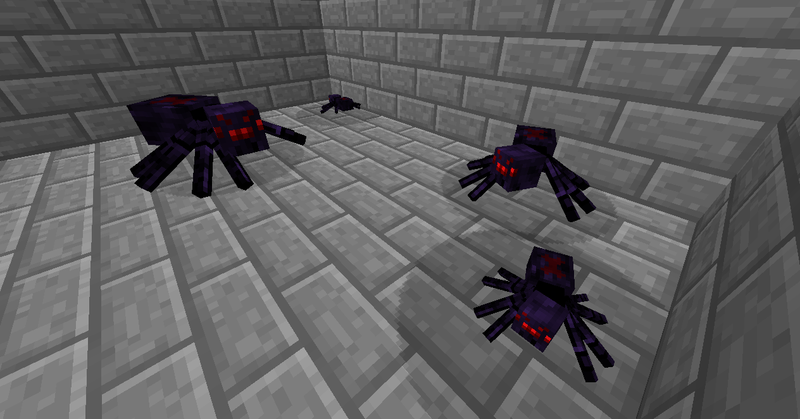 Be wary, though, as dungeons are guarded by powerful mobs!